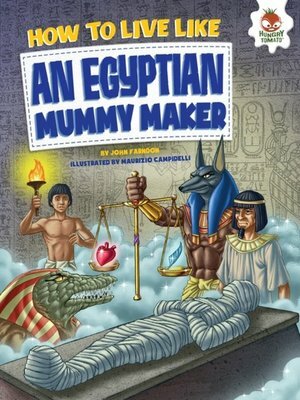 Travel down the Nile and into the heart of an ancient tomb with young Neferu, who is training to mummify a great pharaoh. Look over his shoulder to witness the dog-headed Anubis weighing the heart of a corpse, or the brains being removed and the body wrapped. Unlock the secrets and rituals as you see how to prepare for the afterlife in Ancient Egypt more than three thousand years ago. But make sure to keep safe by using spells from the Book of the Dead! John Farndon is Royal Literary Fellow at Anglia Ruskin University in Cambridge, UK, and the author of a huge number of books for adults and children on science, technology, and nature.